A properly lovely B&B, ticking all the B&B boxes you'd want: a friendly family feel, a tasty breakfast, and cosy rooms, all in a beautiful ivy-clad house in the lovely seaside area of Sandymount. Despite the out-of-the way feel, it's less than 30 minutes into the city by public transport (the DART tram), or a short stroll to see the sea in the other direction. Run by couple Pat and Anne, the B&B has cozy family pictures hanging on the wall, a huge grassy garden, and lovely evening light, all contributing to the sense that you're staying in your long-lost friend's stylish, if a little old-fashioned, house. YOU SHOULD KNOW This B&B is not about staying in the center of Dublin. The public transport is good, but the DART does not run as regularly at night or on Sundays, so do your research, and if you prefer a village-y feel, this is a good option. Some rooms have four-posters, and some can host three people, but all share the same comfortable, home-like feel, with patterned rugs, and light, bright walls. Room 20 is particularly charming, complete with its four-poster bed and view of the garden. Green bathrooms are perhaps a little tired, with bath/showers, although they are very clean and come with bathrobes and slippers. 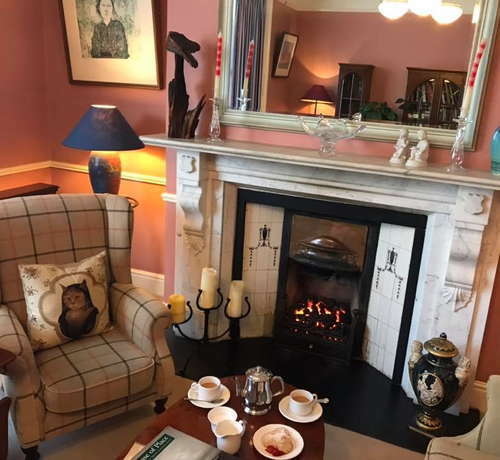 As a B&B, there's no sweeping chandelier-filled lobby, but there is coffee and home-baked cookies on arrival, as well as owners Pat and Anne who are keen to help make your holiday the best it can be - and that's hard to beat. The home-cooked breakfasts are great, served in the dining room that has full-length patio doors onto the garden. Afternoon tea is served, too, and light snacks in the evening. The breakfast is award-winning - don't miss out. Try the a la carte options, particularly (of course) the full Irish. The public spaces in this B&B are special: the garden with its bright flowerpots, or the drawing room and its antique furniture are both special. There's no bar, but guests can be served drinks in either location, or their room. 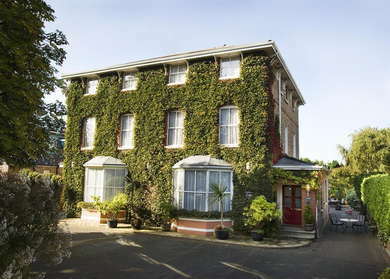 The hotel is in the pleasant village-y suburb of Sandymount, close to the beach. It's ten minutes or so by car into town, though, or around 30 minutes in total (with walking time either side) to the city center from the Sandymount stop on the DART tram. Marios (10-minute walk) is a relaxed, family-friendly Italian. Or Bujo (11-minute walk) is a great new neighborhood joint serving fantastic burgers. O'Reillys of Sandymount (10-minute walk) is a reliable Irish pub. Or try Mulligans of Sandymount (11-minute walk) a bar and restaurant with a simple, tasty menu. A B&B run by a couple who care about what they do, and it shows. If you're happy to stay out of the city center, or even prefer the idea of an evening stroll by the shore, this is a great option, with good breakfasts, comfortable rooms and a really home-like vibe. It's not the cheapest B&B we've listed by a long shot, but it's good value nonetheless.